Face it. The year is 2011 and every dad is a geeky dad because you no longer have to use a slide ruler to be one. Technology is super-accessible, but it’s key to find dad gadgets that are truly easy to use. By now, every list contains an iPod, but how many of these little babies can you own. Sadly, they aren’t evolving fast enough to require a new one every year. If you have a dad who has an iPod and can’t get enough music, an iTunes gift card is a nice touch. Still, it says, “I know you so little, all I could do was give you some money,” which is certainly not a good sentiment to write in a card. And, for some beleaguered dads, a gift card of any sort is just another chunk of plastic to fatten his wallet and remind him of yet another task undone. Consider instead, making an iTunes music mix for him of music you think he’d like based on his music tastes and new directions you could imagine his tastes going. Most of us get stuck in a musical rut we dug deep while in our ’20s. It’s not that we don’t want to hear new things, but we lack the energy to go find one. Now, if only we had someone who knew us so well that THEY could find the music…! If your dad uses the computer a lot, a perfect gift is an extra computer monitor so he can look like one of those stock traders you see while scanning past the Bloomberg channel. An additional monitor makes it easy to scatter documents, apps, and extra ideas across your virtual desktop, just as you do on your real one. 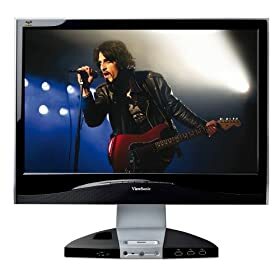 I know there are state of the art monitors (everyone loves the “24 Apple at $900), but I really like my ViewSonic “22 inch ViewDock monitor because it comes with an iPod dock (not iPhone unfortunately), stereo speakers, a headphone jack and mic input, and three powered USB ports. $449 on Amazon. If the dad on your list is a serious Wii player, here’s a new Nintendo device to to improve the motion sensitivity of the Remote. Called MotionPlus, this small plug attaches to the end of the Remote. This add-on is brand new and might be a very welcome surprise to the virtual tennis player in your family. 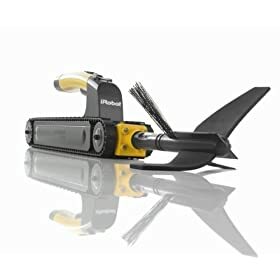 $19.95 at Amazon. Here’s a spin on the old Fathers Day chestnut, the photo mug, which is itself a spin on the “Worlds Best Dad”mug. 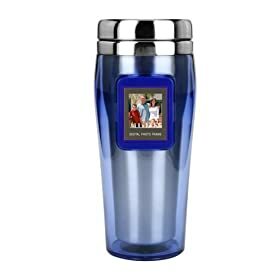 Now there’s a Digi-Mug, a coffee mug that actually shows 45 coor photos on a removable screen. $30 on Amazon. If your tech dad already has programmed a Roomba to avoid sweeping the kitchen and vacuuming the living room, maybe it’s time to move up to an The Looj. The Looj is a handheld remote that climbs on the roof to clean the gutters so he doesn’t have to. $129.